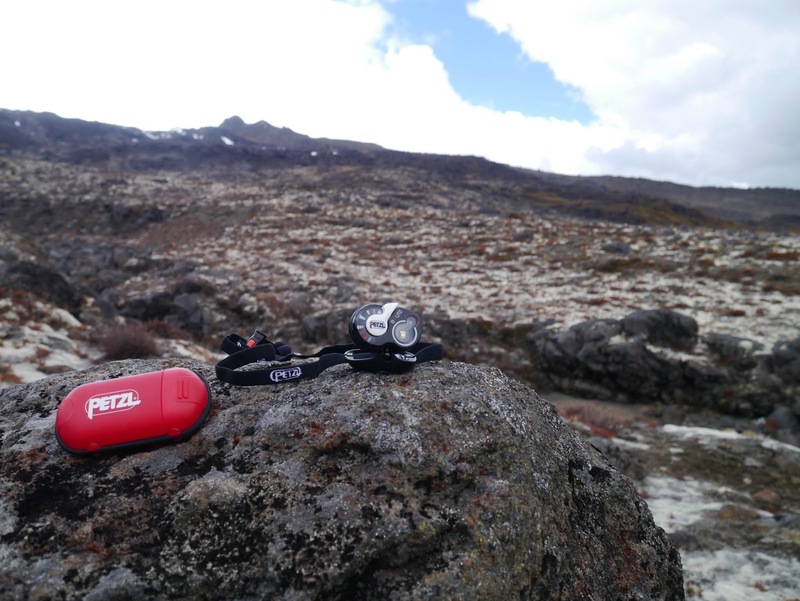 The Petzl E+Lite, the perfect lightweight backup/emergency light. Weighing in at 26g (!!! ), the Petzl E+Lite will weigh less than the 3xAAA (34.5g) batteries you might be carrying as a backup for your main headtorch (Unless you have a rechargeable/battery pack type). This makes it a pretty perfect little backup torch to carry alongside your first aid kit. The torch itself is fairly small and unnoticeable to carry but the carrying case adds a bit of unnecessary bulk and is not quite so necessary if the torch is going into a drybag with other kit. Coming in at £27 it is far from being a "budget" torch considering it is really designed to be used as a backup torch rather than a main torch. With much more powerful main torches being available for less than the price fo the E+Lite, the £27 cost appears a bit high (See here for a good alternative if cost is your concern). That being said, the torch packs a good few features for something that is an emergency backup light. Locking function - Very useful as the last thing you would want would be your emergency light to be out of power when you need it. Emergency whistle - Not very powerful compared to a purpose-built whistle but it emits noise and it's better than nothing and better than the whistles you get on rucksack straps. IPX7 - Basically the torch is water resistant to the same extent as many of the torches available on the market. Don't throw it in a lake though or use it as a diving headtorch. Red light - Good for not messing up your night vision. There is an off mode on the side of the red light function which means you don't have to cycle through all of the light modes before getting to it when you switch it off which is a bonus. When it comes to performance, it's very important to remember that this is a lightweight backup rather than a main torch. The light is by no means powerful. If it's a cheap light you're after, there are much better alternatives, it's designed and intended as an emergency light to have at the bottom of your bag or as a something you throw in your running jacket last minute just in case. It does have a red light function but again, this is pretty weak. The light also runs off CR2032 batteries which do last for a reasonable amount of time but are rather awkward to get replacements (less common than AA/AAA). 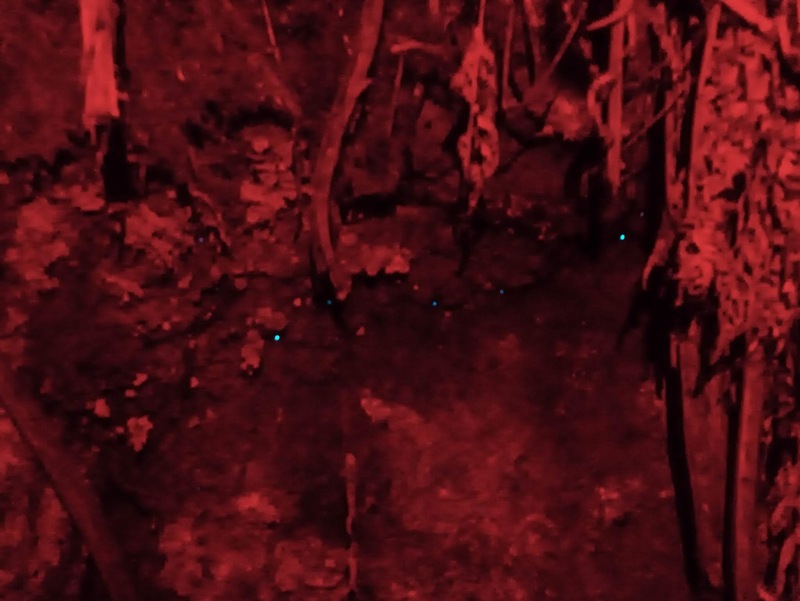 Red light function, useful for things like....finding glowworms. The light comes with some pretty useful features. It comes with a small whistle on the strap which, with it being an emergency light, could come in useful. The light can be locked to prevent accidental turning on. Finally, the torch has an IPX7 rating which means it's waterproof to -1m for 30 minutes and should, therefore, survive a good rain shower.